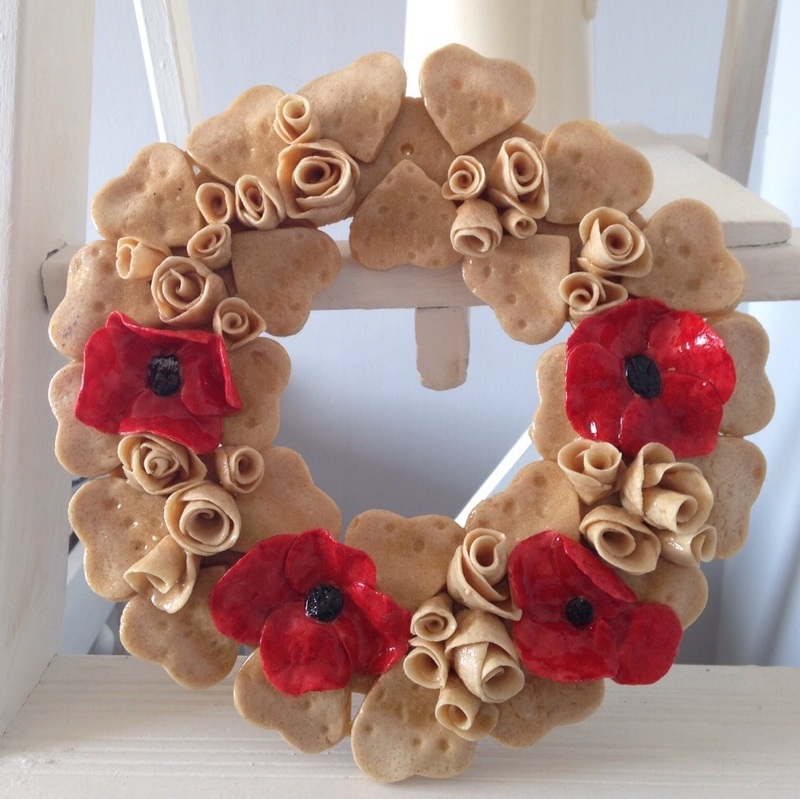 Pant Memorial Hall is holding an Act of Remembrance on Saturday 10th November to mark the 100th anniversary of the Armistice. Pant Memorial Hall is the village war memorial and every year an act of remembrance is held to honour those who served in the First World War in the village and beyond, as well as those who have suffered and died in all wars. The short informal service starts at 7pm and will include a wreath laying and The Last Post as well as hymns and readings. It will be followed by a toast to the reopening of the hall following major renovation work to the entrance hallway, as well as improved disabled access, with thanks to the National Lottery. The event will conclude with a singalong of war-time and other popular songs. Pant Memorial Institute was built in 1922 and originally held a World War I roll of honour. 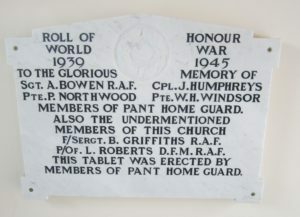 The current memorial tablet in the hall, which commemorates those from Pant who dies in World War II, was originally in the United Reformed Chapel in Pant. When the chapel closed in 2004, the plaque was moved to the hall and re-dedicated in its new home. It now forms the centrepiece of the annual remembrance ceremony in Pant. Earlier this year, Pant Memorial Hall received a grant of £9,500 from the National Lottery to help pay for the refurbishment of the entrance hallway. The floor of the entrance hall, which had been in place for over 30 years, was badly affected by woodworm and needed to be completely replaced. Part of the money was also used to improve disabled access by building an access ramp from one of the fire exits. Shaun Fisher, Treasurer of Pant Memorial Hall, said: “Our annual Act of Remembrance is a focal point for the village every year, taking place as it does at Pant’s war memorial. We hope local people will take the time to come along to remember those who have suffered in war, but especially those who died in the First World War, in this the 100th anniversary year of the Armistice. “We are also taking this opportunity to toast the reopening of the hall after some major repair work, which was made possible with thanks to a National Lottery grant that covered approximately half the cost. Without this support, and the work of hall volunteers and local people to raise additional funds, for example through our annual Autumn Bazaar, it would have been a huge task to fund this work. Visit www.pantmemorialhall.org.uk or find out more on Facebook @PantMemorialHall.